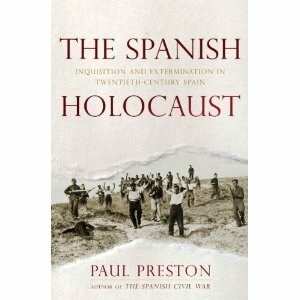 An eminent and prolific British historian of modern Spain, Preston says this was “an extremely painful book to write.” It is also, unlike several of his other works, a difficult book to read. The newcomer to Spanish history will nowhere learn the difference between the Assault Guard and the Civil Guard, or between a Carlist and an integrist. Chapters roll on for 40 or 50 pages without a break. A blizzard of names of thousands of perpetrators and the towns where they carried out their tortures and killings overwhelms the reader. “The Spanish Holocaust” is not really a narrative but a comprehensive prosecutor’s brief. With its immense documentation — 120 pages of endnotes to both published and unpublished material in at least five languages, including corrections of errors in these sources — it is bound to be an essential reference for anything written on the subject for years to come.